Some disturbing news is just now beginning to circulate on the internet. It appears as though beloved cult camera, the Lomo LC-A has gone out of production. What is a Lomo LC-A? 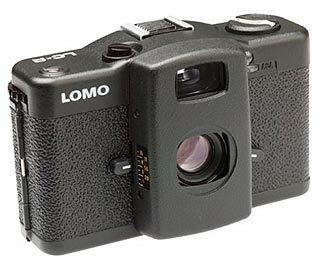 The Lomo started production 1983 in the Communist-era Soviet Union. The story goes that the cheap but high quality Japanese pocket cameras that had started to proliferate in the early 1980′s inspired the Russians to come up with a “people’s camera”. Lomo Russian Arms and Optical Factory was tasked with producing a cheap but rugged and effective camera design with the high hopes that every self-respecting proletariat would be able to own one and snap shots to their heart’s content. The resulting LC-A was a quite pocketable 35mm camera with a very high quality lens, and an unusual but effective auto-exposure system. It was made cheaply, but with a military sensibility that conveys quality despite it’s somewhat clunky design. The camera sold well and was popular. As Soviet Communism began to unwind at the end of the decade, cheaper better Japanese cameras flooded the market and the Lomo goes out of production. In the early 90′s the camera is “discovered” by some vacationing Austrian artists, who document their vacation using a thrift-store Lomo, with fantastic results. Before you know it, every hipster in Vienna had become a “Lomographer”. The Lomo movement builds and the enterprising Austrians go to St Petersburg and talk the Lomo factory into putting the camera back into production. The group is awarded exclusive distributorship of the camera and forms the Lomographic Society International which becomes the hub of the lomo movement. The camera produces images with a distinct vignetting and vibrant color rendition. The auto-exposure and distance range focusing lend themselves to shoot-from-the-hip photography, and some interesting low-light shooting opportunities. The LC-A’s defacto status as an “art camera” distributed by artists, for artists has been a sort of license, or even mandate to shoot unconventional compositions, subjects, and film stocks. Pick up a lomo and you are compelled to experiment. As a result, some really great images have passed through the beady little eye of this camera. There are other Low-Fi and cult cameras out there such as the Holga plastic camera or the Polaroid SX-70, but there’s nothing quite like a Lomo for usability and consistently good results. If you have a lomo “wall” (that’s how lomographers refer to their galleries) that you would like to share, please post a link or img no larger than 400 pixels wide in the comments of this post to help memorialize the passing of this great little camera. This entry was posted on Thursday, April 21st, 2005 at 11:01 pm	and is filed under Photo. You can follow any responses to this entry through the RSS 2.0 feed. Both comments and pings are currently closed. here’s my lomo home…. see it and weep! The lomo is cool, but it’s all hype. Even the “low” price of $100 is ridiculous. Save your money and get a used Olympus XA-2 for about $30. Hype? I have a camera that cost ten times that and it still does not produce images with the same quality – a real loss to the world! I took down my lomohome a while back, but I’m sad to learn about this. I had better buy another in case anything ever happens to the one I already have. The Lomo craze might seem like hype, but I own one, in addition to four Nikons, and some of my favourite and most atmospheric images were captured on the Lomo. Coming from a rugged professsional SLR , it always feels weird pressing the little plastic button and hearing the feeble snick of the primitive shutter opening and closing behind the tiny lens, but the results always amaze me. now if only i could find a Lomo LCQ-Z ! thank goodness – good riddance! now we don’t have to deal with all those wannabe photographers whining about their stupid lomos.